Fairfield - Johnston’s Army Adventure Camp is designed for Boy Scouts and offers an authentic and unique hands-on adventure! Scouts travel back in time to 1858 – 1861 and enter the world of a soldier with Johnston’s Army at Camp Floyd in the Utah Territory. New recruits are processed, mustered into the army and issued uniforms. As a new enlisted private, scouts will shoulder their musket, and march off to a new adventure! Leaving modern possessions behind, the call of bugles and officers’ commands will replace the daily routine of 21st century life. The camp curriculum is based on the history of Johnston’s Army at Camp Floyd, Utah Territory, and is designed to complete the requirements for the American Heritage Merit Badge and the National Historic Trails Award. Each camp is limited to 30 scouts and leaders. Camp fees are $20 per boy / adult, which includes all camp material and breakfast. This two-day program includes an over night stay with sleeping accommodations in period military tents. Scouts will need to provide their own sleeping gear. All registrations are online this year and can be made by following the links at http://stateparks.utah.gov/calendar/2012/cfsp Registrations begin January 3, 2012. Established in 1858, Camp Floyd housed the largest concentration of U.S. troops then in the United State. The troops were sent to Utah to suppress a rumored Mormon rebellion, which never took place. 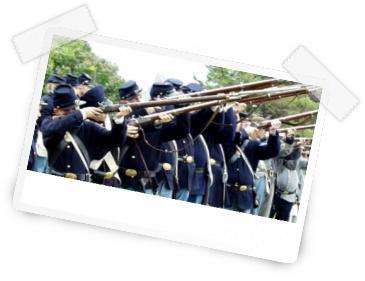 The army was recalled back east in 1861 for the Civil War emergency. Camp Floyd State Park is located in the town of Fairfield, 22 miles southwest of Lehi on State Highway 73. For more information please visit our website at www.stateparks.utah.gov or contact the park at: 801-768-8932.